Seferiana Day has over 10 years of experience in campaigns, outreach, and organizing. She served as a Special Advisor to Mayor Tim Burgess, and for nearly three years as his Legislative Assistant on the Seattle City Council. She was instrumental in the passage of legislation relating to Short-term Rentals and the 2016 Seattle Housing Levy, and wrote legislation establishing the Seattle Renters' Commission. She has provided policy and outreach strategy on campaigns for two citywide Seattle City Council races, and managed Congresswoman Pramila Jayapal's 2014 campaign for State Senate in the 37th Legislative District. She organized volunteers for SeaTac Proposition 1 to establish the $15 minimum wage in 2013, and holds as Masters in Social Work from the University of Washington and degrees in Women Studies and Sociology from Seattle University. 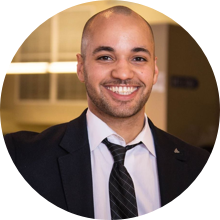 Michael Charles is a graduate of the University of Iowa and has over 12 years of experience in campaigns, outreach, organizing and fundraising. He most recently worked in External Relations for the King County Executive, managing community engagement, communications and strategy. He previously managed campaigns for two citywide Seattle City Council races. His career in politics began as an intern in the office of then first-term Congressman Dave Loebsack of Iowa’s 2nd Congressional District. He then went on to work in Davenport, Iowa as a Field Organizer in 2008 for then-Senator Obama’s Presidential Campaign. He led a fundraising Capital Campaign for Seattle Goodwill and has led outreach efforts into communities of color for the Boy Scouts of America in King County. He also worked for the City of Seattle as an AmeriCorps VISTA member with the Human Service Department focusing on homelessness intervention. We are experienced policy advocates and organizers on behalf of communities of color, and understand that the best policies and programs are informed by the communities most impacted by social and racial injustice. Whether you are an organization seeking to navigate the legislative or campaign process, or an agency seeking greater connection to community, we thrive when building transformative relationships and strategic partnerships between policymakers and the communities they serve. We are dedicated to advancing political representation reflective of our communities, and engaging underrepresented communities in the political process. We have co-hosted and participated in forums and panel events in partnership with community and political leaders, and provide trainings on running campaigns dedicated to authentic community outreach.